2005 Sea Ray 220 Select Bowrider powered by a 5.0 350 Mag MPI Bravo III dual prop outdrive engine, family freshwater only water sport boat equipped with Sirius Satellite, Professionally maintained by MerCruiser certified mechanic with low hours and kept in covered dock, bimini top, snap in cockpit carpet, open bow seating. 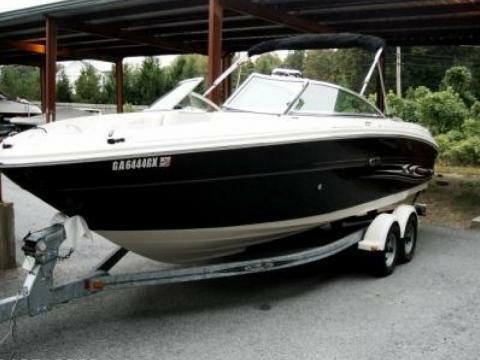 Rides up to 8 people, this boat is in great shape and will serve you well. We have both the full mooring cover and the snap in boats covers that will also be included with the boat. Stock #173966 TWIN 475HP MERCRUISERS!!! VERY WELL MAINTAINED AND IN GREAT SHAPE!!! 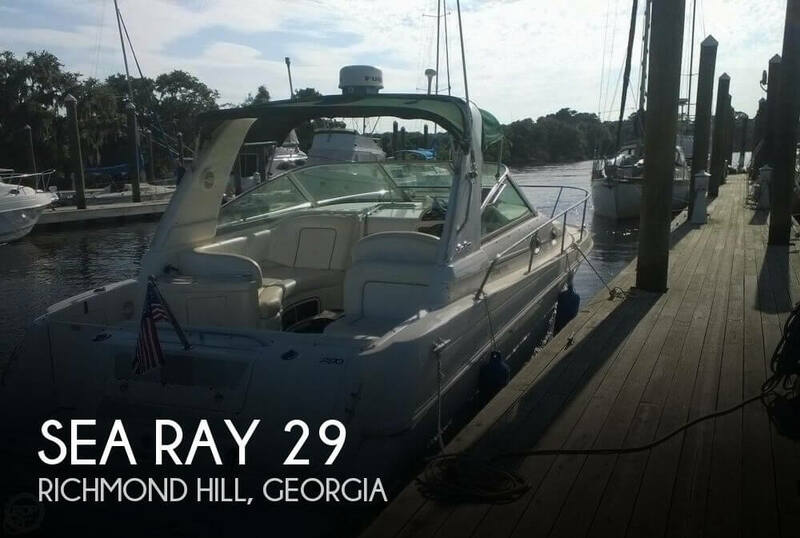 If you are in the market for an express cruiser, look no further than this 1989 Sea Ray 27, priced right at $19,750 (offers encouraged). This boat is located in Gainesville, Georgia. She is also equipped with twin Mercruiser engines that have 750 hours. This is a one owner boat that has been very well taken care of. No rips or tears in upholstery. Hull could use buff and wax but no dings or scratches. This Sundeck has only ever been used in freshwater, and always kept in covered slip out of water on lift when not in use. Stock #175629 Amazing boat! Great condition & ready to hit the water! 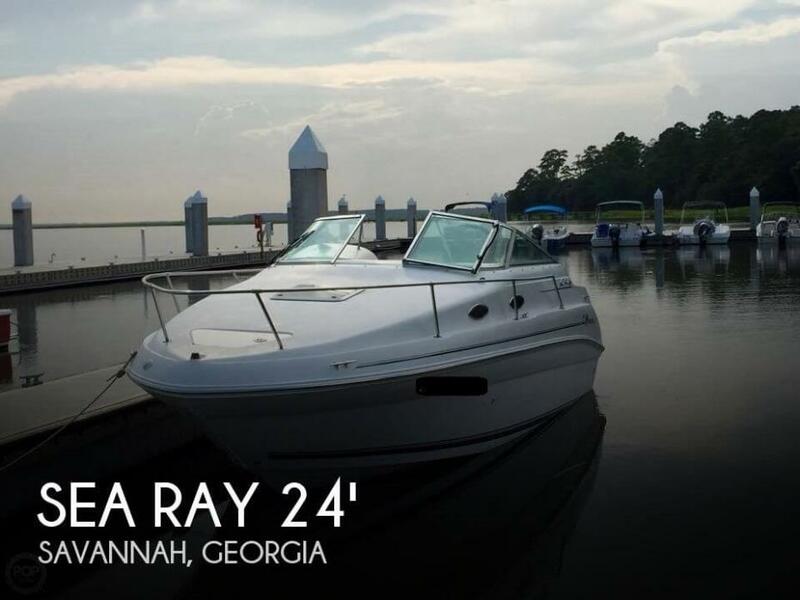 If you are in the market for a deck boat, look no further than this 2007 Sea Ray 240 Sundeck, priced right at $35,000 (offers encouraged). 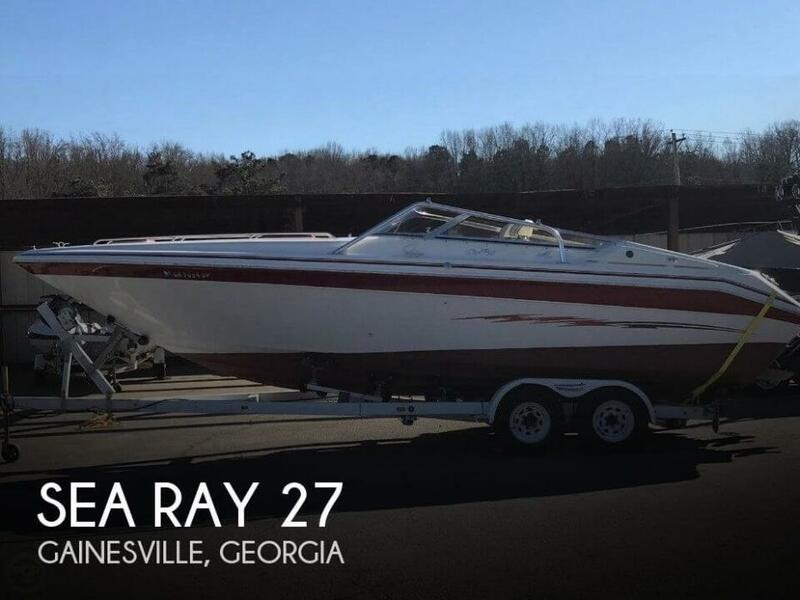 This boat is located in Gainesville, Georgia and is in great condition. She is also equipped with a Mercruiser engine that has only 225 hours. Boat is stored under a cover shelter and further protected with a mooring cover. Professionally maintained and in good mechanical condition, the seller has service records and manuals. Interior and exterior upholstery is in excellent condition, Cabin is clean and all lighting and electrical systems are operable. Hull shines; bottom paint has lots of life left. 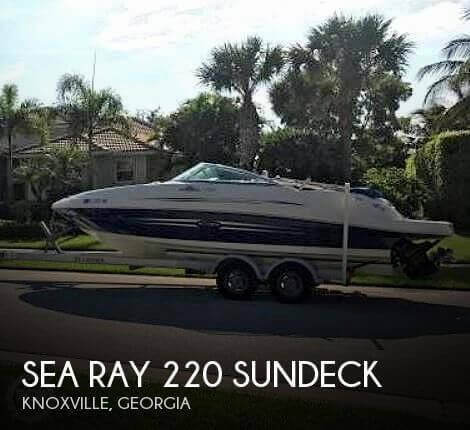 Stock #170540 2001 Sea Ray 290 Sundancer If you are in the market for an express cruiser, look no further than this 2001 Sea Ray 290 Sundancer, just reduced to $37,000 (offers encouraged). 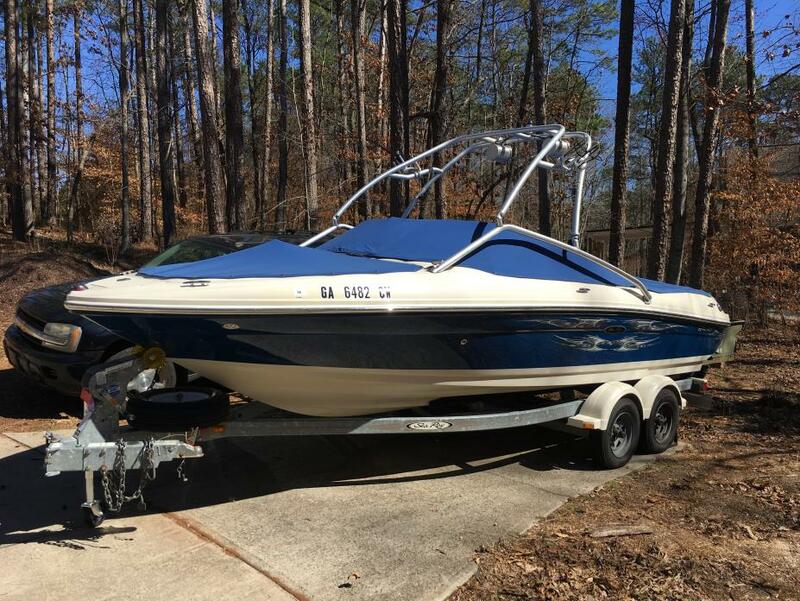 This boat is located in Richmond Hill, Georgia and is in good condition. She is also equipped with twin Mercruiser engines that have 510 hours. Reason for selling is no longer into boating. The boat has minor damage from the storm, but the seller is having it repaired. Interior is clean and fresh but was somewhat cluttered during pictures. 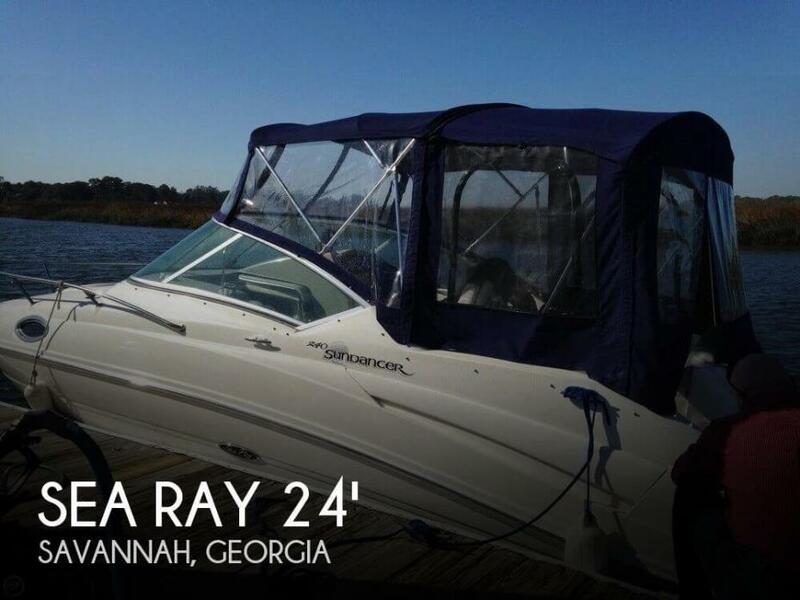 Per the Seller: The boat is in good mechanical condition, and all systems are operable. Stock #129567 Lots of room in this 44 footer! Large flybridge and spacious cockpit If you are in the market for a motoryacht, look no further than this 1996 Sea Ray 440 Express Bridge, just reduced to $74,900 (offers encouraged). 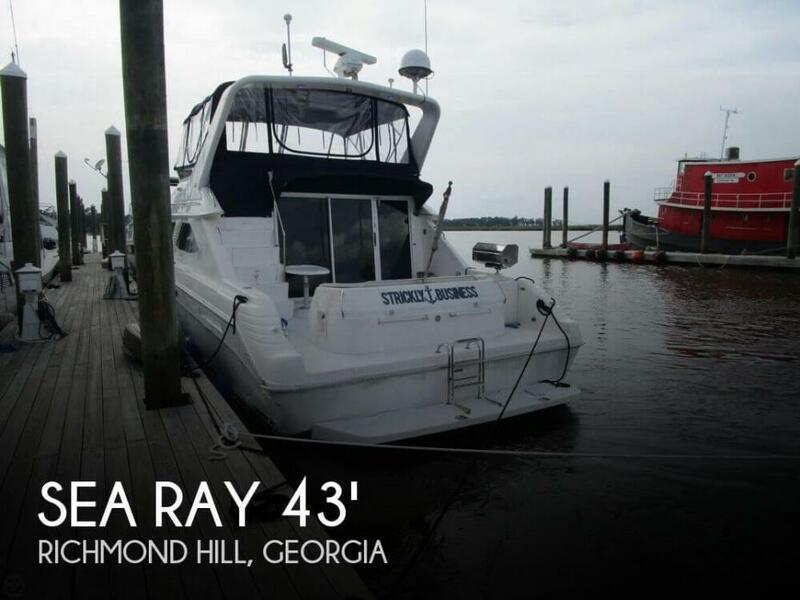 This vessel is located in Richmond Hill, Georgia and is in great condition. She is also equipped with twin Caterpillar engines that have 1,550 hours. This vessel needs some TLC. The hull appears to be in good shape as there were no noticeable gauges in the gelcoat or the fiberglass, The floors seem fine with no noticeable soft spots. There were no musty smells in the cabin and there were no noticeable issues with the bunks, counters or floors. * All seats on the deck need to be recovered. * The anchor locker hatch is missing its latch * The speedo is inoperable due to the cable coming loose from the outdrive. * The bellows need to be replaced before she is put in the water. The owner is contacting his mechanic about repairing the speedo and bellows. 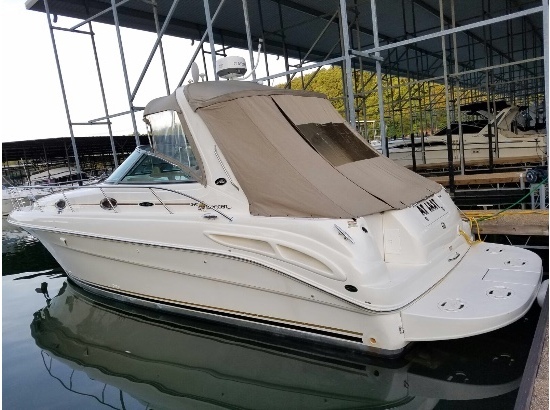 Stock #107160 A cruiser with room If you are in the market for an express cruiser, look no further than this 1992 Sea Ray 230 Sundancer LTD, just reduced to $15,000 (offers encouraged). 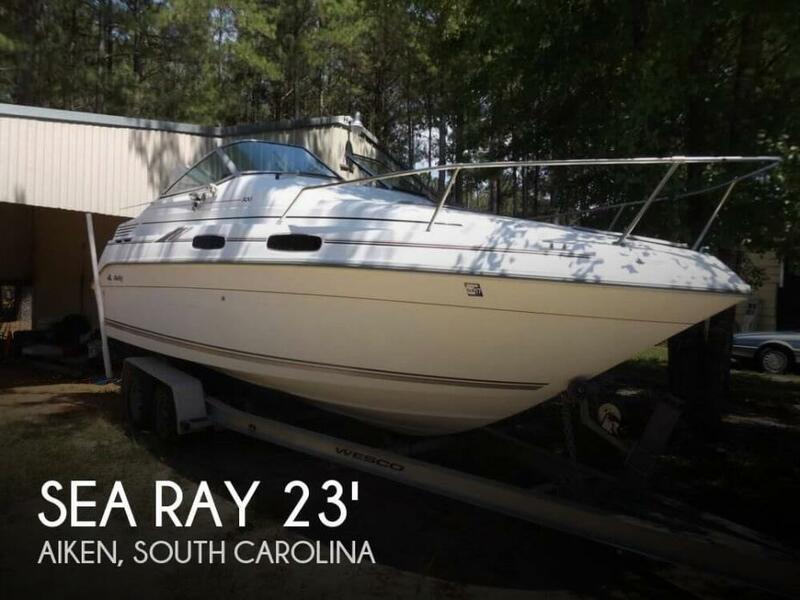 This boat is located in Aiken, South Carolina and is in need of some work. She is also equipped with a Mercruiser engine that has 500 hours. Seller says she is ready to go and in great working order! The only TLC needed is on one of the seats which are shown in the pictures. It includes a wet bar, removable tables, GPS and stereo system that's satellite ready! Customer cover, bimini top and snap in carpet look to be in great condition! Stock #138485 Versatile for entertaining and all kinds of water sports this 220 Sundeck has quality detailing & is loaded with options plus bimini & custom cover! 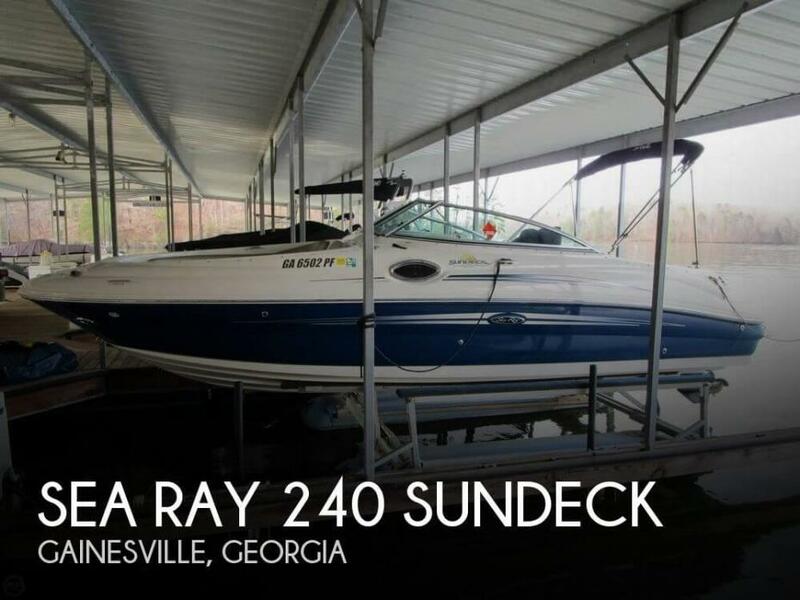 If you are in the market for a deck boat, look no further than this 2007 Sea Ray 220 Sundeck, just reduced to $19,800 (offers encouraged). 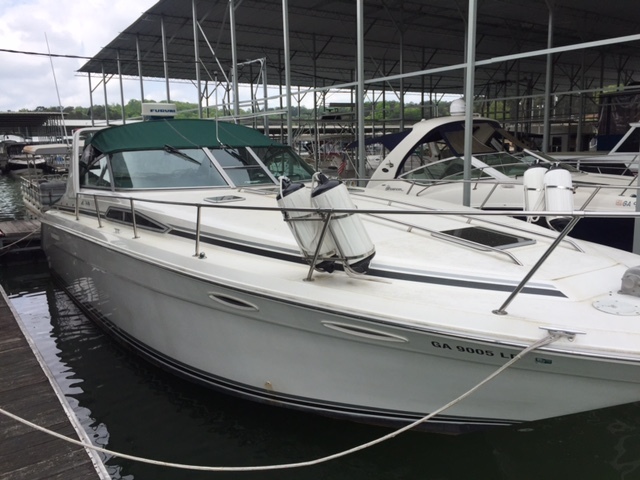 This boat is located in Knoxville, Georgia and is in good condition. She is also equipped with a Mercruiser engine that has 650 hours. 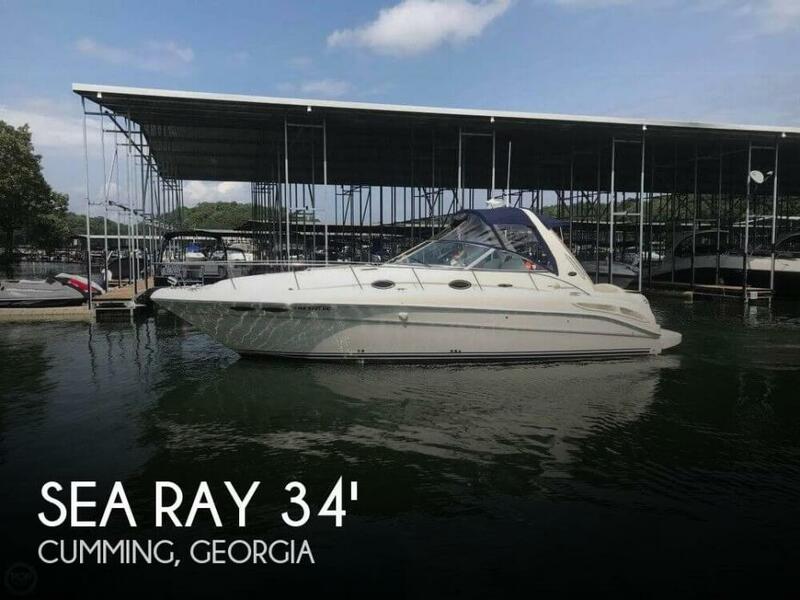 Reason for selling is no place to store it and no longer staying at the lake..
1991 Sea Ray 350 Sundancer With-A-Twist is a beautiful example of the classic Sea Ray 350 that shows pride of ownership. One of Sea Ray's most popular boats, the 350 Sundancer is a great family cruiser with modern express performance, sport boat lines and a mid-cabin interior layout. Her 12'4" beam and good interior headroom makes her a very roomy boat below. The mid cabin seating area serves as an extension of the salon. She offers a queen size forward berth, head, refrigerator, stove, and an ice maker in the cockpit. The separate shower stall in the head, great interior headroom, integral pulpit with windlass and swim platform, wet bar, ice maker, Quicksilver generator , 2-zone heat/ac and central vacuum add to her amenities. The large cockpit provides seating for eight with abundant storage and room to spare. Very well maintained and loved 350 Sundancer. 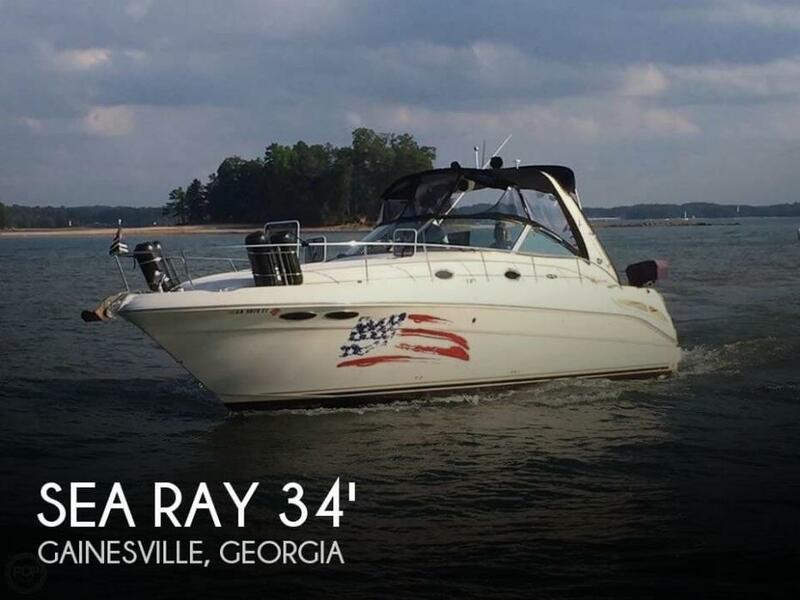 This boat has been in georgia for the last 25 years between lake allatoona and lake lanier. The first year of its life was in Boca Raton, FL. Powered by a pair of 7.4L Mercruiser BlueWater closed cooled Inboard engines. Engine hours are at 1,510. Almost all of these hours are under 3,000 rpm! Bottom Paint was redone 2 years ago. Forward and rear A/C units. Windlass with anchor. Interior is in terrific shape. Carpets are clean and smell great. 2002 Sea Ray 340 Sundancer 2002 Sea Ray 340 Sundancer, 2 MERCRUISER HORIZON 6.2L ENGINES, WITH V-DRIVESDUAL BATTERY W - SWITCHAUTO FIRE EXT SYSTEMCANVAS PACKAGE WITH BIMINI TOPVHF RADIODEPTH FINDERRADARCOMPASSSNAP IN CARPETU-SHAPED SEATINGCOCKPIT REFRIGERATORTRANSOM SHOWERELECTRIC STOVEMICROWAVEDUAL VOLT FRIDGEAC - HEATGENERATORCENTRAL-VACCARPET RUNNERSVITRACORE CHERRY CABINETSTV SALONSTEREO WITH 6 DISC CDSHOWERVACU FLUSH HEADWINDLASSSPOTLIGHTBOTTOM PAINTTRIM TABSYou won't find a cleaner 34' Sundancer she runs very nice plenty of power no difference if you carry 2 or 12 people in board it will run fast desam will reach 42 mph. She is Turn-Key and Ready to Go Location: Balde Ridge Marina $69500 Firm BOAT WILL NOT LAST LONG! 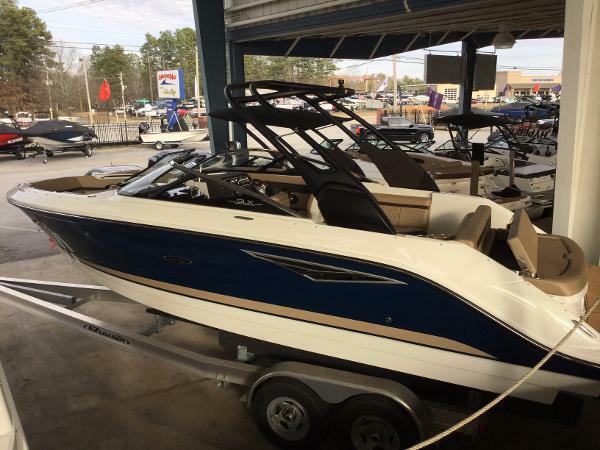 2006 Sea Ray 205 Sport SOLD-2006 205 Sport Sea Ray with wakeboard tower! Interior looks almost new. 5.0 mercury engine with only 200 hrs, fresh water only. New stereo, tower speakers and amp. Dual batteries with a switch, perfect for hanging out at a cove worry free. 5 new tires on the original tandom trailer w braking system. Snap down carpet, snap down cover. Always dry docked. $19,900, including trailer.